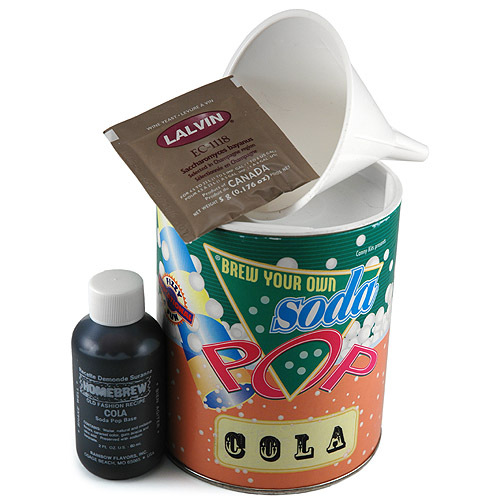 Why buy expensive store bought soda pop, when you can brew home-made cola with the Brew Your Own Soda Pop Kit? The Brew Your Own Soda Pop Kit allows you to learn the process of making flavored soda pop and the rewards offer a fun and thirst quenching time for all! Make 1 to 4 gallons of delicious soda. Blank labels to label your soda bottles.